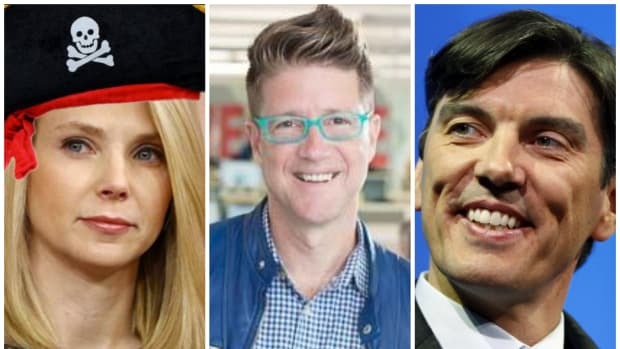 No one&apos;s arguing that Marissa "Evita" Mayer is probably not going to win many "Execuive of the Year" awards, but that doesn&apos;t mean that she won&apos;t turn things around at Yahoo (YHOO). After all kids, Marissa has a(nother) PLAN! Marissa Mayer is gearing up for yet another turnaround plan for Yahoo! Inc. Given the company’s persistent growth slump, even a sweeping overhaul may do little to fend off activist investors threatening to wage a proxy war aimed at her removal. Yahoo’s chief executive officer, who has overseen falling sales in 7 of the past 10 quarters, promised to detail a plan to cut costs and boost growth. The effort, set to be announced with quarterly earnings Tuesday, will probably include job cuts, a person with knowledge of the matter has said. Sure, giggle away, haters. But before you go off thinking that Marissa is finally done at Yahoo, please remember that she is the Rasputin of tech at this point. Yahoo! 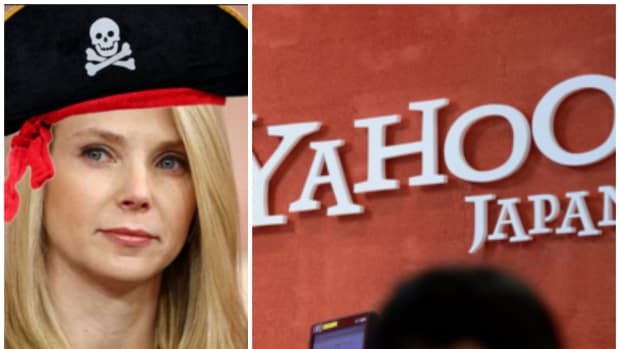 CEO Marissa Mayer accidentally started swinging the ax last week, as bureaucratic snafus resulted in dozens of employees losing their jobs, sources told The Post’s James Covert. That&apos;s the kind of thing that really fires up morale inside a company that staffers have lately taken to describing as something akin to a garbage fire of the soul. But you can also look at this way: Marissa is so ready to turn things around at Yahoo that she will make the tough decisions, even if she makes them inadvertently. The screwups — which may have affected as many as 30 employees, according to one source — didn’t go over well with some team supervisors, according to insiders. “This is the only person who does this job — how could you do this?” was a common complaint, a source said. Umm, it&apos;s called "leadership," bro.